The evening of October 7th the Victim's wallet was stolen, possibly from a restaurant in Aggieville. 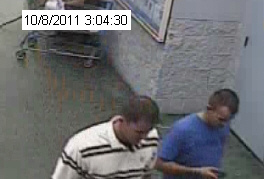 A short time later two suspects used the card to buy a PS3. 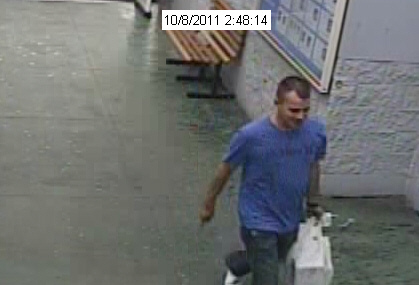 They also attempted to purchase two televisions but the transactions were declined. 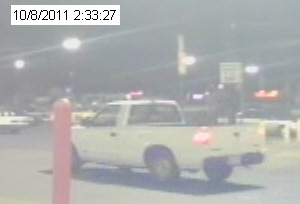 The suspects were driving a white GMC truck. Please look at the photos below. If you recognize the suspects leave a tip here or use the numbers listed to the right to call or text a tip. Your tip could lead to a reward large enough to buy yourself a new PS3 (or XBOX).